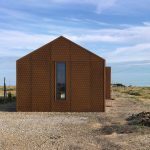 Pobble House takes its name from an old Kentish word for pebble and is located within the Dungeness Estate, a stark and open headland on the Kent & Sussex coast that is home to Europe’s largest expanse of shingle, classifying it as Britain’s only desert. The area is home to a vast array of wildlife and plant species, including many species of insects and coastal/migratory birds that cannot be found anywhere else in the UK. As a result of this the area is a recognised as a Site of Special Scientific Interest (SSSI), National Nature Reserve, Conservation Area and Special landscape Area. In contrast to the sites natural character it is dominated by Dungeness Nuclear Power Station and its two light houses which form prominent features in the otherwise flat landscape. It is home to a historically strong fishing community that inhabit a number of small huts and buildings which are scattered along its shored amongst other abandoned huts. It is this unique character that has, and continues to appeal to people who are drawn to the site as an escape from the outside world. 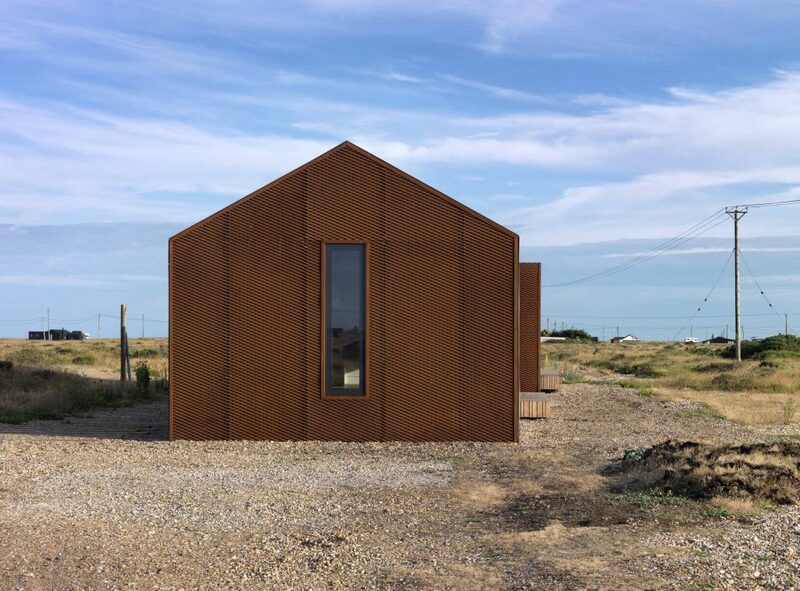 Most notably, the completed house is located a stone’s throw away from Derek Jarman’s famous home and forms one of a number of quirky and architecturally eccentric dwellings. Owing to the sites cultural and natural significance it is subject to many stipulations to regulate new development. For example, local planning policy dictates that any new building must replace an existing building and must be of similar scale and proportion to that of the original. For this reason the new home is made of three simple forms taken from the original dwelling. 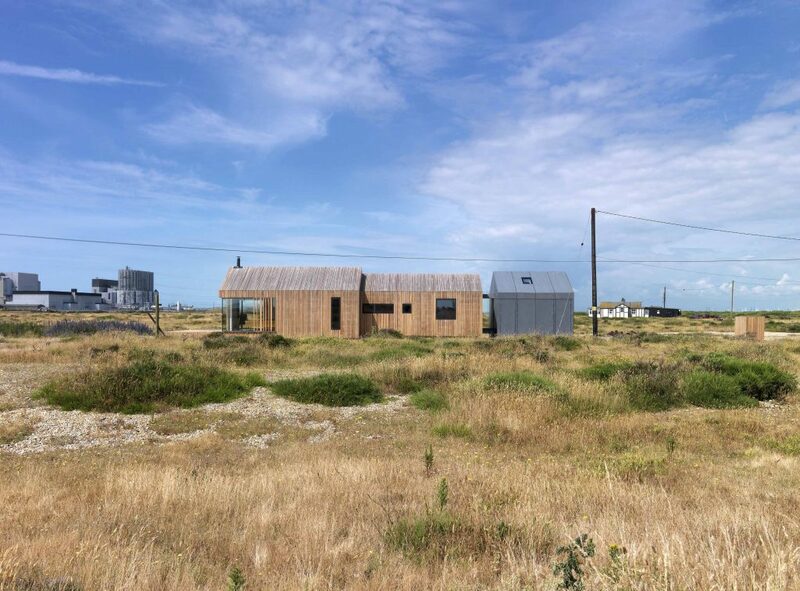 The choice of materials has been carefully chosen to reflect the surround vernacular of Dungeness. 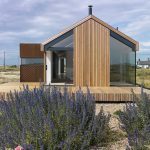 Larch cladding will weather silver over time with persistent high wind and salty sea air. Core-ten will rust to form a bright red protective coating taking its cue from many exposed metal works that surround the site. In contrast to these natural materials, the separate bed 3 module is clad in cement fibre board and will not weather. Additionally, Pobble House is set on concrete pillars which elevate the building from the site and serves to minimise any impact on the existing natural shingle surface. Inside, the new home is organised along a linear corridor running the length of the building which is aligned perfectly with the nearby light house. From this bedrooms and bathrooms maximise the buildings small footprint and are orientated to maximise views from within. At its southern most section a large open plan kitchen, dining and living area form the heart of the home bespoke log burner and a combination of large format glazing and picture windows giving almost panoramic views over the spectacular site. In this living area the corner of the building is able to open up to the landscape via a bespoke corner to corner glazed sliding door which can be hidden within concealed wall pockets. 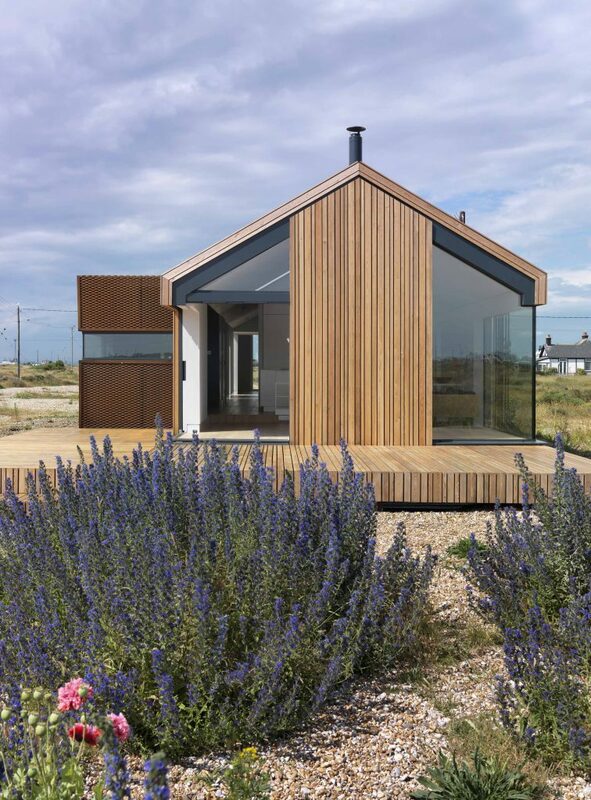 Pobble House forms a beautifully crafted home which seeks to continue Dungeness’s curious architectural legacy and has delivered an exceptionally high quality family home for our client and their growing family.